Rather than throwing away a faded piece of leather, you can give it new life with leather lacquer. When applied full strength, leather lacquer delivers a glossy new look to a worn piece of leather. The number of coats of lacquer you apply depends on how glossy or shiny you want the leather to become. You can find leather lacquer at hardware stores, specialty shops, and online venues. 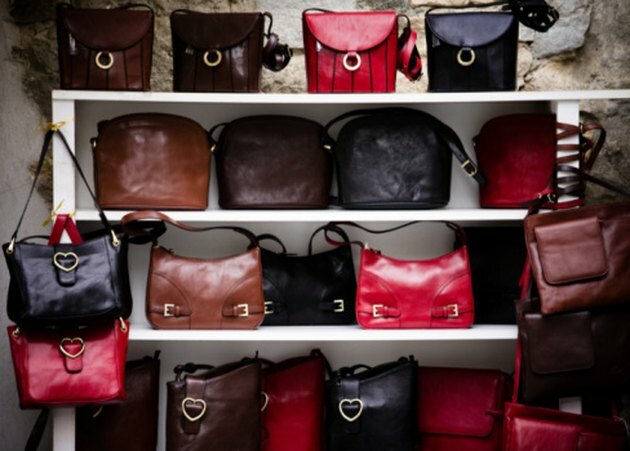 Purses are among the items that can be revived with leather lacquer. Lay the leather on a hard, flat surface in a well-ventilated area. Lacquer has a strong odor. Using the lacquer in a poorly ventilated area can lead to headaches. Pour some leather lacquer into a small bowl. Dip the paintbrush into the lacquer. Remove excess lacquer by wiping the paintbrush on the inside of the bowl. Brush the lacquer onto the leather using soft, even strokes. Start at one end of the leather, and brush the paintbrush across the leather until you reach the other end. Repeat until all of the leather has been treated with the lacquer. Wait one hour. 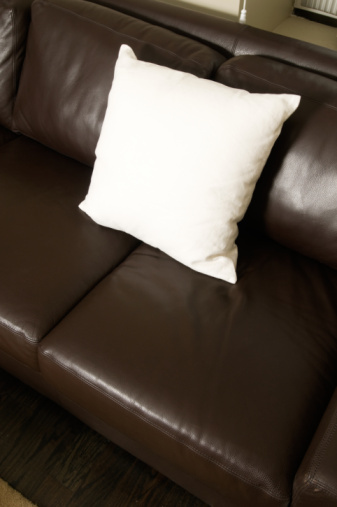 If the leather does not look as glossy as desired, apply a second coat. Repeat every hour until the leather is as shiny as desired.